WDH Hydraulics designs and manufactures bespoke hydraulic cylinders for offshore platforms. Using industry experts and by cooperating with its partner companies, WDH is able to provide a comprehensive service quickly, flexibly and efficiently. The company understands the differences between various working environments, and engineers the most appropriate solution for the client’s application by matching their requirements with its own extensive experience. 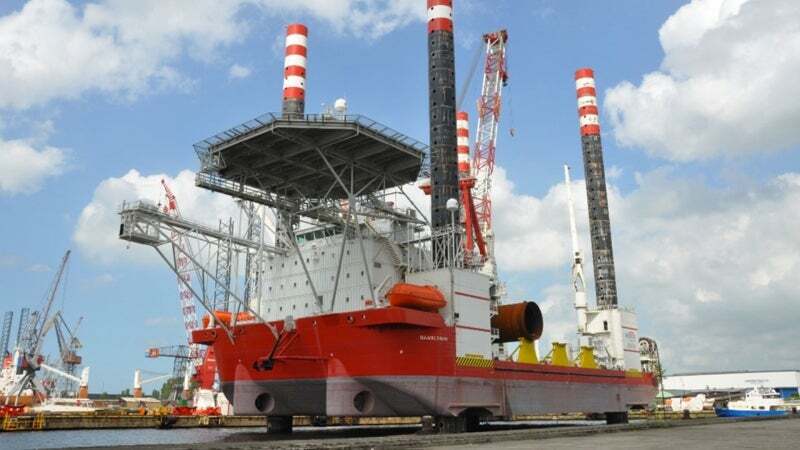 Typical customers include offshore equipment builders, dredging companies and shipyards. WDH Hydraulics manufactures custom-made products, which are often the result of an extensive, collaborative engineering process between the company and the client. All products are engineered to perform under severe conditions and provide reliable power and safe controls for marine and offshore applications. WDH Hydraulics fully understands that equipment downtime will have financial repercussions. Limiting downtime is therefore crucial in the company’s designs, as well as ensuring a quick turnaround in the event of a cylinder repair. In order to prevent future downtime, WDH often modifies the components as well. The company has proven to be a reliable partner for professional industrial organisations, such as Huisman Equipment, Heerema and Boskalis. Short communication lines, quick decision-making and a good cooperation make WDH Hydraulics an extension of the client’s company. WDH’s engineering department’s broad knowledgebase and advanced computer-aided design (CAD) technology (Solid Works) ensures that staff can design the optimum solution effectively and efficiently. The company fully understands the requirements of various important classification societies such as Lloyd’s, Veritas, DNV and ABS. WDH Hydraulics’ quality management system has been successfully certified under lSO standard ISO 9001: 2008. This enables the company’s employees to focus on quality and continuous improvement. Certification for ISO 9001: 2015 is planned for early 2016. The ISO 3834-2 standard is also in place, which ensures that WDH works in accordance with approved procedures and fully qualified welders under the supervision of a welding coordinator. WDH Hydraulics stores customers’ spare cylinders and its extensive, in-house machine park is fully equipped to make, modify or repair other large equipment parts. WDH is happy to announce it received prizes for 'Best Hydraulics Quality Management System' and 'Best Offshore Hydraulic Repair Service in 2016' at the annual Acquisitions International (AI) offshore industry awards. WDH Hydraulics is a Netherlands-based company that specialises in the design, manufacture and modification of hydraulic cylinders for the marine and industrial sectors. WDH Hydraulics prides itself on rising to challenges and developing innovative solutions for its customers. WDH is pleased to announce that the digging system of the world's largest backhoe dredger, a Boskalis-owned excavator unit known as 'The Magnor', is equipped with 12 WDH cylinders. In addition to the design, construction and maintenance of hydraulic cylinders, WDH also has years of experience in the production of rotary joints. WDH Hydraulics is pleased to announce it is one of the first in the industry to receive certification for the latest version of the ISO 9001: 2015 Quality Management Standard. WDH's customer-specific cylinders feature a 12m meter stroke, and are what is known as 'passive heave compensation' cylinders.